Soccer football strategy planning board tactic training session peel aid. 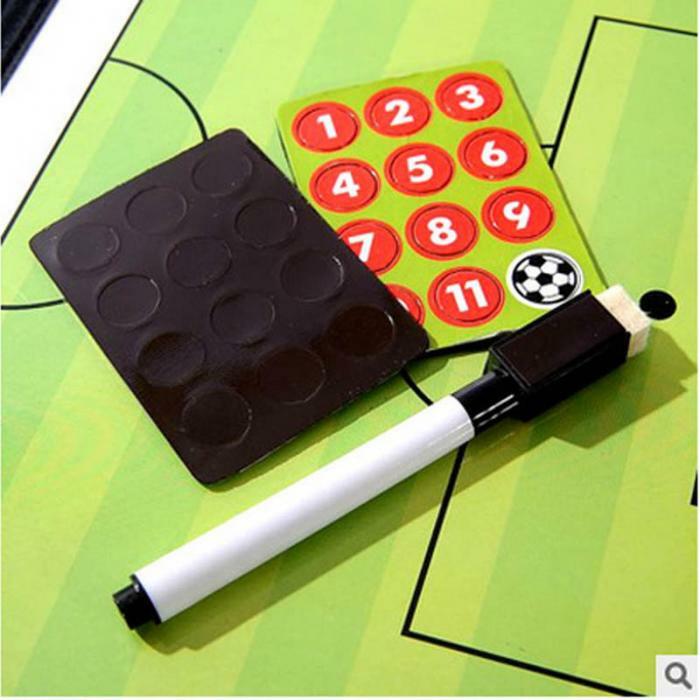 Portable and very practical Soccer Board, High Quality and Stylish Sport Soccer Train Tactical Magnetic Plate. Magnetic clipboard. 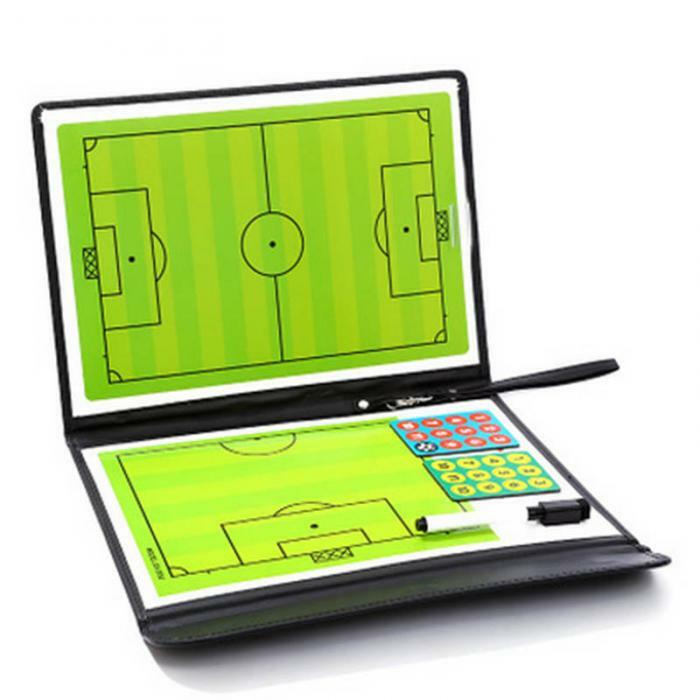 Full pitch on one side, set play half pitch on the other. 24 magnets representing players, referees and the ball. 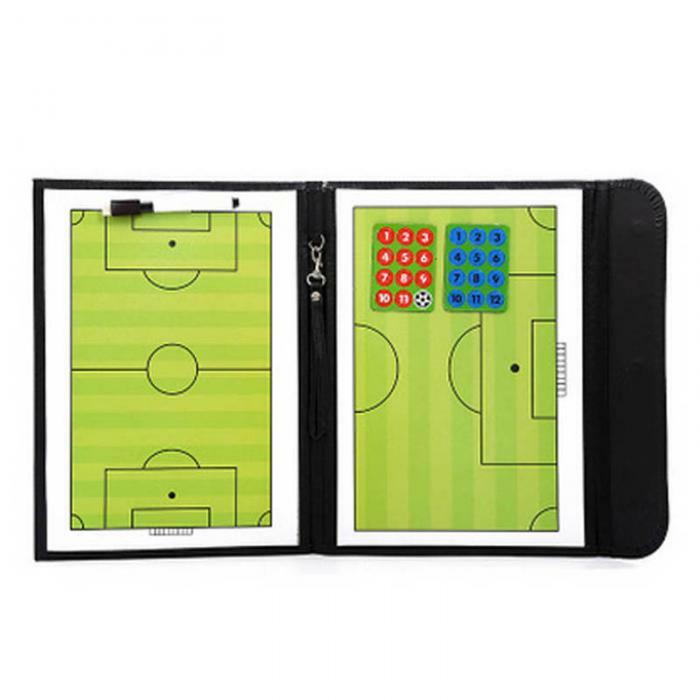 Magnetic clipboard for soccer and players to master strategy. 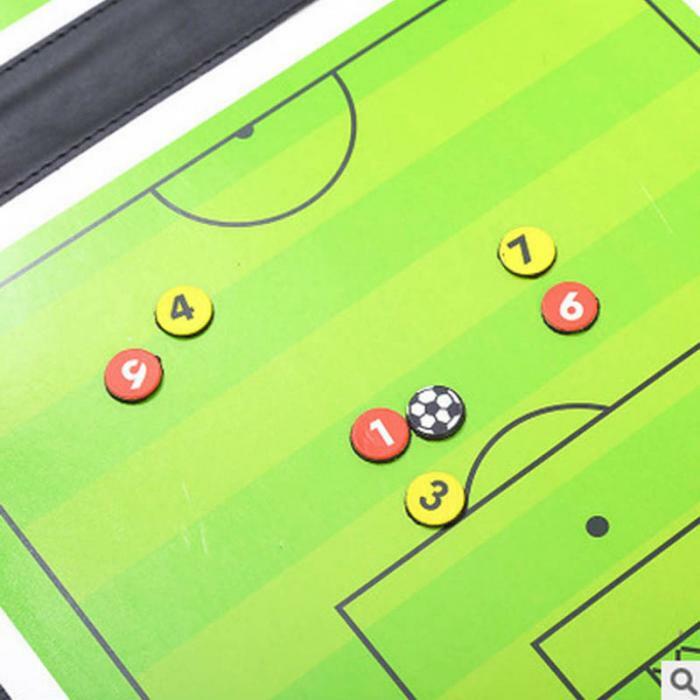 This tactics folder is great for devising match-day strategies and substitutions, but it is also ideal to plan training sessions and help your team come up with innovative set-piece routines that bamboozle the opposition.